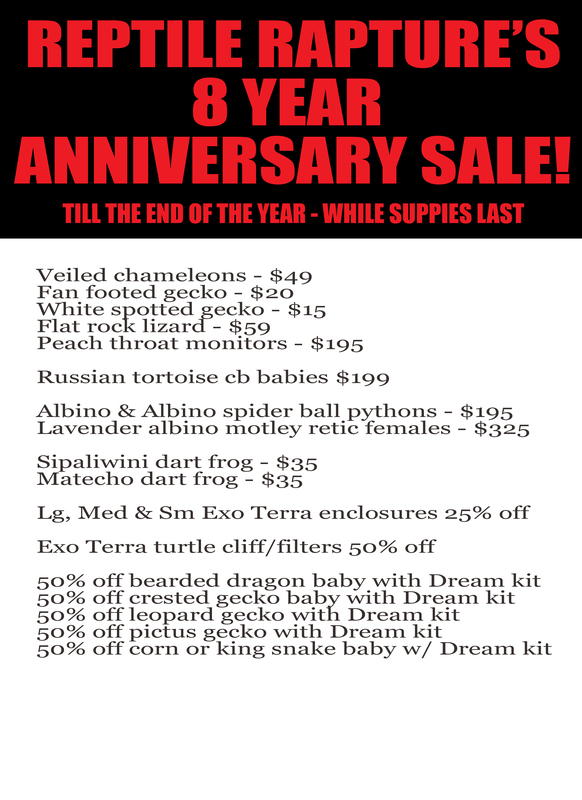 REPTILE RAPTURE'S 8 YEAR ANNIVERSARY IS DEC 1ST! Take advantage of our spectacular anniversary sale going on now through the end of the year. CRESTED GECKO DREAM KIT - Fully Assembled 12" X 12" X 24"